Be prepared to get sucked into this new thriller from Keigo Higashino. While he’s already a big name in Japan, this is his first book translated into English. It’s best called a police procedural rather than just a crime novel, because every little detail Higashino includes has a point in the story. What’s most unique is as soon as you begin, the murder of a man occurs, and you know exactly who did it. Straight up, it’s right there, demanding you pay attention! The mystery of the novel comes into play as the crime is investigated by the police force as well as two academics, one a physicist and the other a mathematician, both former competitors who are eager to prove their superiority to each other as well as the police detectives that they look down upon. Nothing plays out as ordinary, although the characters can be considered regular people. Rather than an all-seeing Hercule Poirot type of solution, the novel is instead about observation of facts and the interpretation of the tiniest details. Because of the amount of intricate details, sometimes the narrative slows down. In fact, at a few points, you may even be distracted and feel as if you are balancing your checkbook. Yet that’s the trick Higasino plays: the monotonous details are the most revealing and ultimately solve the crime. In addition to the mystery, the author builds credible characters, and makes their motives always remain a bit unclear. At times, while knowing ‘whodunit’, I still found myself questioning what I already knew, and wondering how much I assumed. Seeing a snapshot of the life of middle-class Japan, with its emphasis on decorum, routine, and reputation, makes a cryptic setting for the murder and its repercussions. 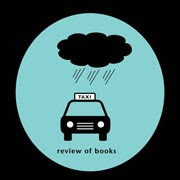 Two factors bear mentioning: one, despite the complexity, the pace of the novel is subtle and quiet. This isn’t an episode of CSI; there are no car chases or explosions. An intellectual challenge for the reader, it’s as quiet as a crossword puzzle and much more complicated. Additionally, despite the initial murder (it was a bad guy, after all), there is no gore or expletives. None of the skin-crawling vulgarity or horrific crime scenes that some crime novels rely on appear in this story. To be honest, this is a classy crime novel, and I hope more of the series is translated into English, soon. Special thanks to Minotaur for the Advanced Review Copy. This is one of the best mystery novels (to have come out of Japan) I had read this year. It knocked me out of my senses for its razor-sharp suspense in the story. The uniqueness of the story is that you get to know who the murderer is right at the start of the novel, but the fact that the maths teacher, Ishigami (Suspect X) is so blind in his sympathetic devotion for the woman who murders that he is ready to go great lengths and do just about anything to save the woman he loves and her daughter from going to jail. The plot is ingeniously constructed and is perfect for a thrilling reading. 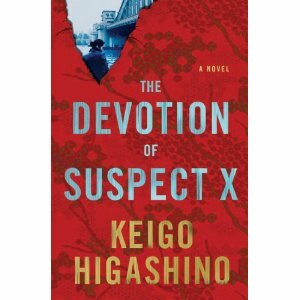 The Devotion of Suspect X is a grand treat for mystery novels fans. If Hollywood plans for a movie based on this novel then why not? Let’s see a movie come out of it. I already have a name for the film version: “Suspect X". This is a very clever mystery novel originally written in Japanese and translated into English and is this author's first major English publication. Apparently this novel is a continuation of a popular serial drama, Galileo, and has also been made into a Japanese film, Suspect-X that was released in 2008. The recurring character in the series is Manabu Yukawa, a brilliant physics professor at Imperial University who is respectfully called Detective Galileo. He assists the local police sometimes with particularly vexsome cases, and this murder is one of those.